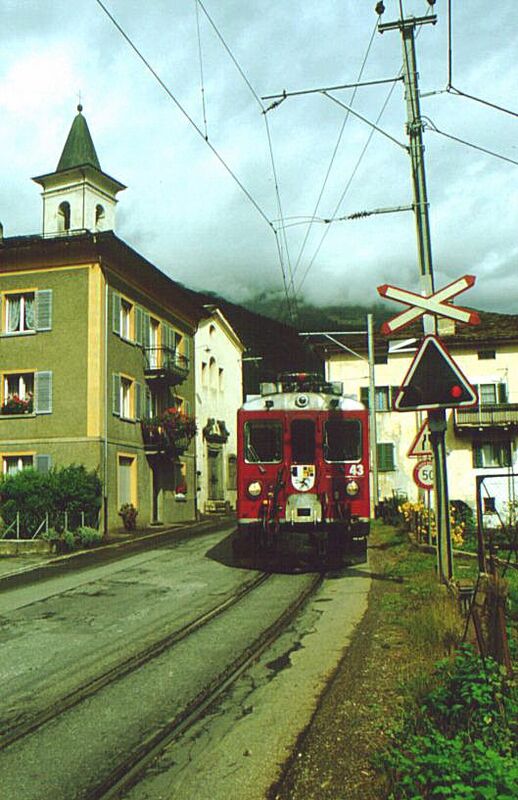 The locos 161 and 162 were the first engines of the former Bernina Railway. Except the panthographs and the new painting they are still in the original state. 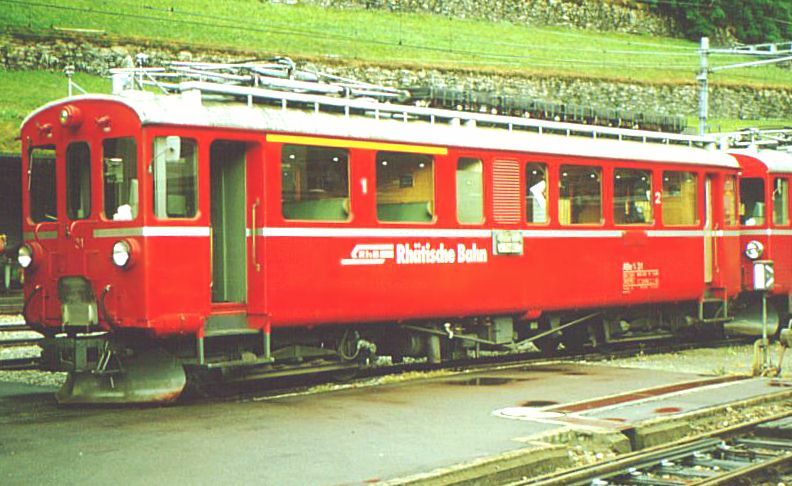 This railcars was renamed from Fe 2/2 51 in 1965. It has been modernized totally in 1980. 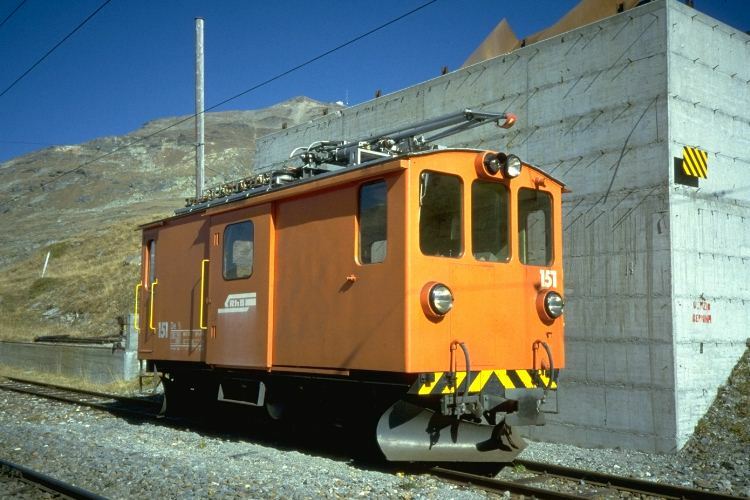 The railcar mostly used for shunting in Ospizio Bernina. 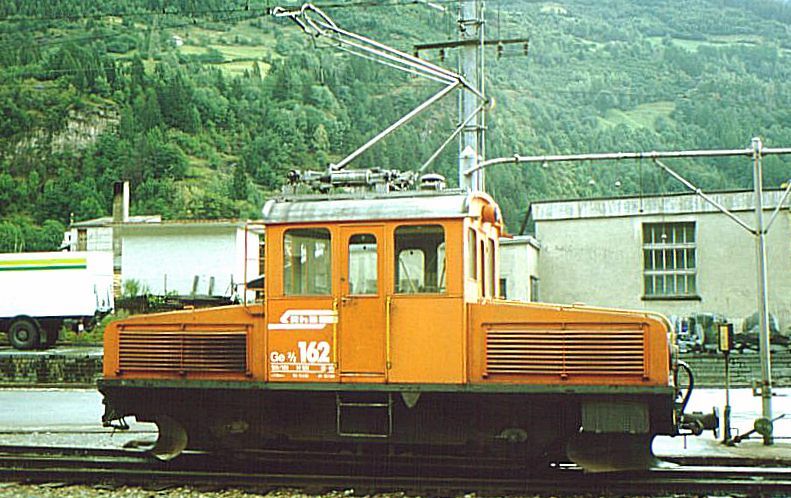 Till 1947 the railcar was known as BCe 4/4 1. 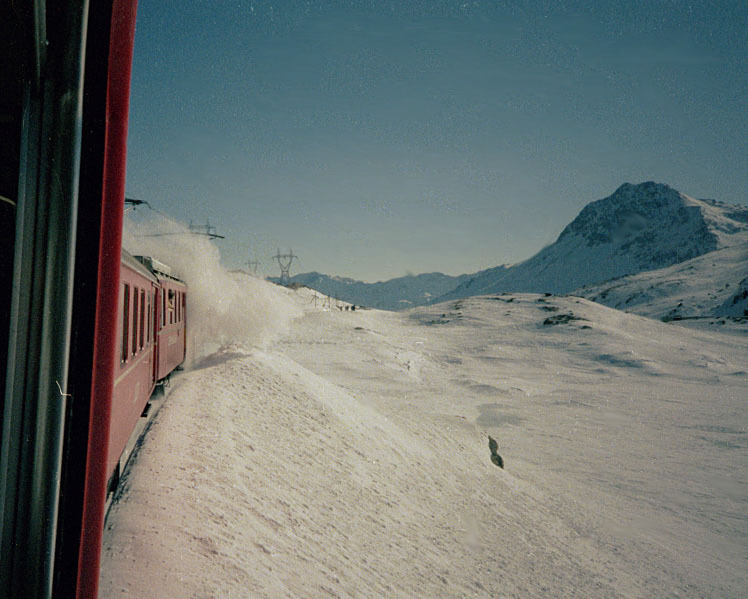 It can be used on the Chur- Arosa line, too. 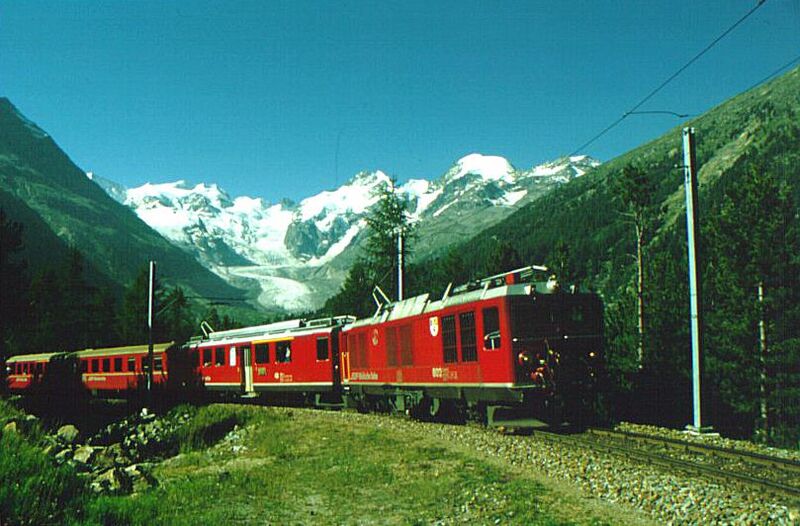 In the background the Morteratsch glacier and the Piz Bernina can be seen. 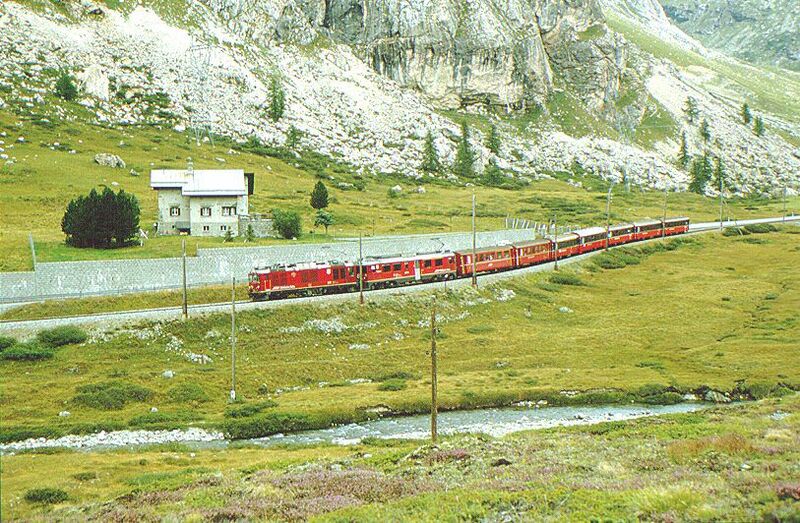 The train is pulled by Gem 4/4 802 and a ABe 4/4 II. 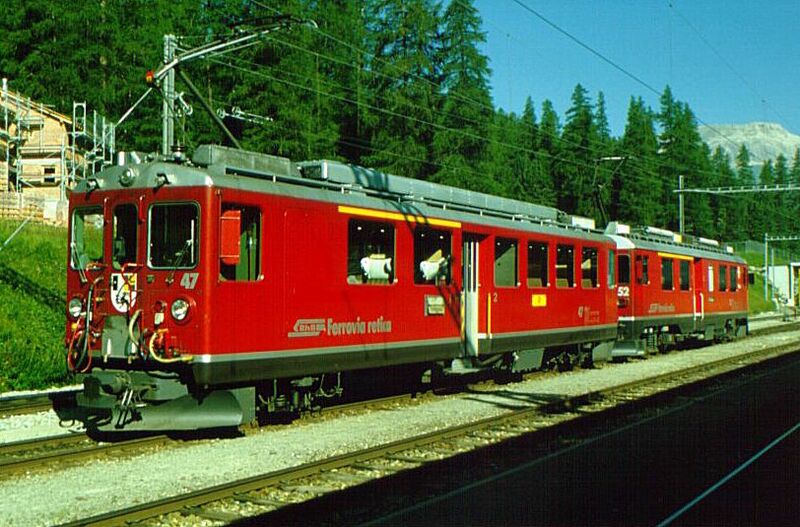 The first loco is a Gem 4/4, a diesel-electric engine. 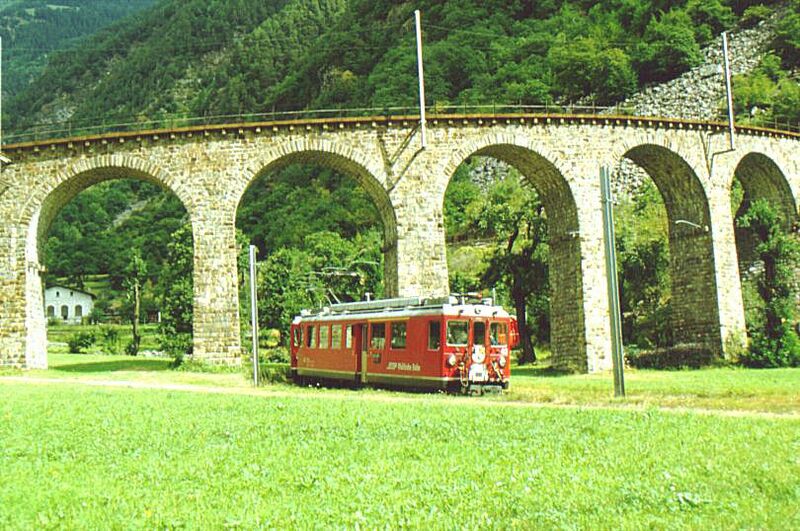 In two villages in Val Poschiave the Bernina Railway can be found as a tramway: In San Antonio and in Le Prese. 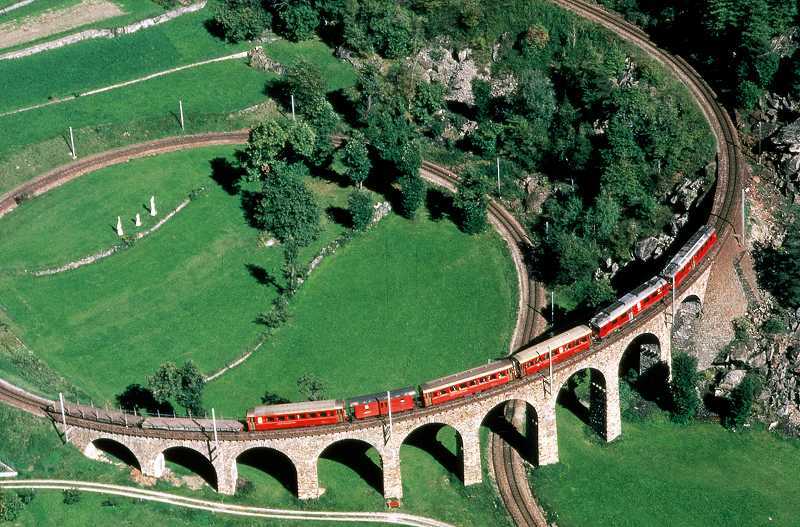 The spiral viadukt is used to climb uphill on a small area.